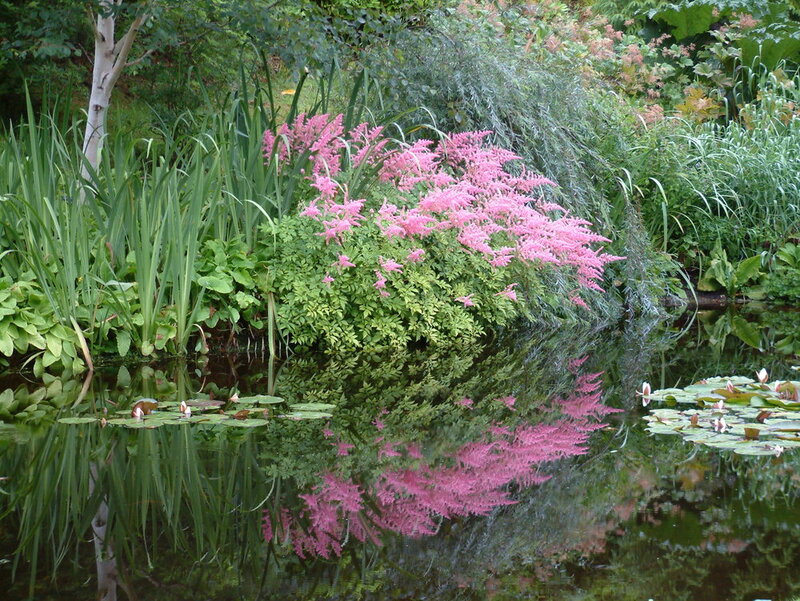 The first thing visitors see as they enter the garden at the top of the drive is a dark, shining, lily-filled pond. Opposite it is the gatehouse with information, maps and postcards for sale. These outstanding water gardens were created by enlarging parts of the old mill-stream into separate pools. Bridges were added, and a little man-made waterfall bordered by beds of bog-loving plants from all over the world. They provide an ideal background for the sculpture collection.